If you've ever had a problem with your home's roof, you know how important a roofing company's services are. But what you may not realize is that there are many other valuable services they can provide as well. Here are 5 important services that professional roofers can provide that will greatly increase the safety and comfort of your home. Even if you don't notice any signs of roof damage, it's always a good idea to keep on top of your roof's condition with regular inspections so that repairs remain minor. This will ensure that your roof's lifespan is as long as possible and that by the time you do need your roof replaced, it can be done before major damage occurs to other areas of your home. Of course, roofs do eventually wear out, so it's important to have a good roofing company you trust to install a new roof that will last for many years. Roofing can be dangerous work, so it's best to trust the professionals to this task both to ensure your safety and to ensure that the roof is installed correctly and according to regulations and specifications. They can also educate you on the most popular roofing materials to help you make an informed choice. Roofing companies can also increase the comfort of your home by either repairing or replacing your current skylight or installing a new one altogether. Skylights are a great way to add light to your home without increasing your energy bill. However, they can also become a big problem if they are installed incorrectly. Leaking skylights can cause extensive damage to your home's structure and interior, so trust professionals trained in the correct specifications. Improper ventilation in your roof can cause the roof to wear out prematurely because moisture cannot be released properly. This can cause damage to the attic by weakening the actual structure and allowing mold to grow, which can cause serious health problems. Proper ventilation also helps reduce the load on the air conditioning system by preventing too much hot air from being trapped in the attic. 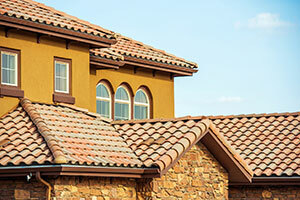 A professional roofing company can ensure that your home is ventilated properly. Chimney caps and shrouds are another service a roofing company can provide. These are used to protect the chimney from moisture, animals, and other debris. However, caps and shrouds can have a decorative purpose as well to add to the aesthetic appeal of your home. If you are in need of any of these services, don't hesitate to contact a professional roofing company near you today!